A VCA/envelope module of exceptional character. 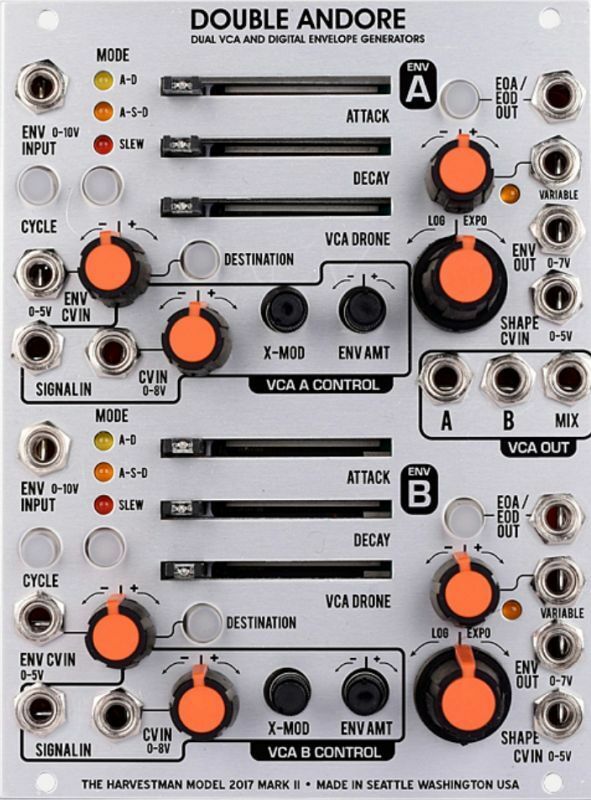 This module is the keystone (and the meridian) of the Harvestman Industrial Music Electronics voice, perfectly matched to the Piston Honda and Hertz Donut oscillators. Contains two high-quality VCAs with extensive control and cross-modulation inputs, coupled to a pair of flexible digital envelope generators. Other features such as additional envelope stages, envelope mixing, and wavetable-based envelope curves shall become available in the future with a small expansion module.